Cadillac Extended Warranty or Vehicle Protection Plan - autopom! 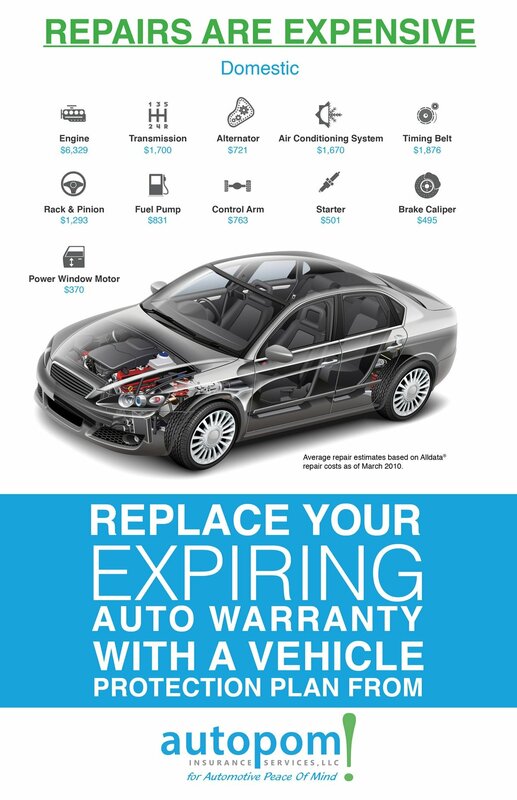 Is your manufacturer’s original warranty expiring or already expired? Consider purchasing a Cadillac Extended Warranty or a vehicle protection plan from autopom! If you want an American luxury vehicle with deep roots in American history and culture, there is none other than Cadillac. Some may argue there are other contenders, but when it comes to a true luxury vehicle that is made in America by an American company, Cadillac is still the leader. Think of the Escalade (and other Cadillac models), and how it has long been a favorite of many politicians, celebrities and successful business people, or the newly redone ATS or the award-winning CTS. Every single Cadillac model is known for luxury. Cadillac also has longevity, being one of the oldest automobile brands in the world. It has made luxury vehicles from the beginning and has been the first do many things in the auto industry. Cadillac has also been part of General Motors (GM) for more than 100 years and has always been GM’s “prestige” brand, positioned upmarket from Buick, GMC and Chevrolet. Although Cadillac has long been compared to (and held to the standards of) the big three German automakers BMW, Mercedes, and Audi, Cadillac has worked hard to differentiate itself from them with its distinctive and bold style. People that buy Cadillacs often choose them because they specifically want an American car but they also want a luxury car, or because they want a luxury vehicle that is not so mainstream and is more unique. Although it has had some ups and downs, Cadillac continues to produce great vehicles and has some loyal fans. Another great thing about Cadillac right now is that they are making very reliable vehicles. Cadillac placed fourth and third in the 2015 and 2014 J.D. Power U.S. Vehicle Dependability Studies (which examine problems experienced during the past 12 months by original owners of three-year-old vehicles). In the 2015 study, Cadillac vehicles experienced only 114 problems per 100 vehicles, which is well below the industry average of 147. So if you own or are about to buy a new or used Cadillac, should you even consider a Cadillac Extended Warranty or a vehicle protection plan from autopom! Probably. Although Cadillacs are considered to be reliable, they are certainly not perfect. And since they are a luxury brand, parts and labor both tend to cost more than for other vehicles. Also, don’t forget that GM recalled 29 million GM vehicles in North America! That’s right, 29 million. These recalls affected Cadillac, Chevrolet, Buick, and GMC, and show that even a reliable automotive brand can be subject to some major problems. Buying or owning a new or used Cadillac is a bold choice, and likely a good one. After all, it is a reliable, American-made luxury vehicle! But be sure to do your research and consider extended protection for your Cadillac. When you get a Cadillac extended warranty from the dealership or vehicle protection plan from autopom! you can give yourself some peace of mind by knowing your Cadillac is covered (per the terms of your agreement). Request a free, no-hassle quote from autopom! today!